Great news! No more paper required and a great way to gather a client’s email address for marketing purposes. 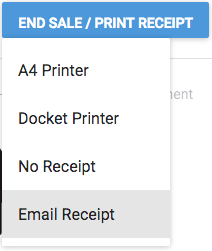 Have a read of this article to learn how to email your client their receipts/invoices.